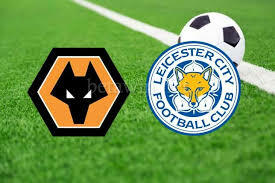 Wolverhampton Wanderers host Leicester City in a fixture from the 23th round of the Premier League. Let’s see what’s happening with these two teams before their clash at the Molineux. Wolves continue to be positioned in the middle of the table, which is great for the newcomers. Right now they have 29 points won and a record of 8 wins, 5 draws and 9 defeats. In their last five games Nuno Santo’s boys won just once – against Tottenham, doing one draw and suffering three losses. In their last game Wolverhampton suffered a 0-3 defeat from the hands of the champion Manchester City. The game at the Etihad didn’t go well for the visitors, who lost the clash after goals from Gabriel Jesus and an own goal from Conor Coady. For Wolverhampton it was a second consecutive loss after the one against Crystal Palace before this. Meanwhile Leicester City are 8th in the standings with 31 points and a record of 9 wins, 4 draws and 9 defeats. In their last five games the Foxes lost twice, but also enjoyed three wins, which is very good. In their last fixture Claude Puel’s players suffered a defeat, though. They hosted Southampton at the King Power Stadium, but they were defeated with 1-2. Ward-Prowse and Shane Long scored for the Saints, while Wilfred Ndidi’s goal for Leicester was not enough for the home side to change the game. Before this defeat, Leicester enjoyed a win against Everton at the Goodison Park, thanks to a winning goal by the team’s star Jamie Vardy after the halftime break. 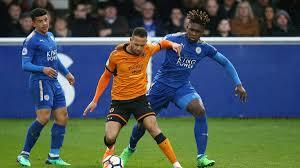 These are our observations about the Premier League fixture between Wolverhampton Wanderers and Leicester City on Saturday. These two teams are very close to each other in the standings, so we expect a competitive game.